Not sure where to invest your money? Investing in real estate is definitely worth thinking about. It can be quite a risk, but with the way the property market is right now, those risks are quite low. There are two main ways of making money from real estate. Either buy an apartment or house to rent out, or sell at a profit. Whichever one you prefer, you will certainly reap the benefits. Still not convinced? 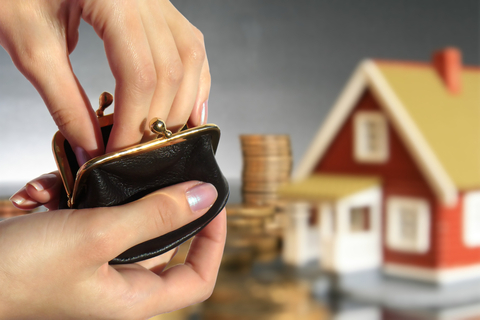 Here are five reasons why you should invest in property now. Once you buy your first piece of investment real estate, you are in complete charge. It is now your choice as to what you do with the property. If you decide to rent out the house or apartment, then you will have a monthly income to live off. You can fix the rental price, so it suits you. But it is important not to price the monthly rent too high. Take a look at other rental homes in the area to see how much real estate goes for in the neighborhood. Even if you choose to sell the property, you are still completely in charge. You can renovate and improve the home up to your desired quality to try and sell it for the best price possible. These days, there is no guarantee when we will be able to retire and start taking our pension. It seems like it is a much safer bet to save up for retirement. But investing in real estate is another great way to prepare yourself for retirement. There are two ways to go about this. You can sell the property as soon as it is ready and place the money you earn in a high-interest savings account so it can increase in interest. Alternatively, rent the house or apartment out and save up all the rent. Once you are ready to retire, you could sell the house for a big lump sum. It is super important to diversify your investment portfolio. This will reduce the overall risk of investing. So if you already have money in stocks, shares, and gold, you should also consider placing some money elsewhere. How about in some real estate? Once you have money in a few different investments, it won’t matter so much if one reduces in value. You still have other opportunities to increase you money, some of which might even do better than expected. There are a number of ways you can write off some of your tax by buying real estate. Rental property owners will benefit from major tax deductions. This is because you are allowed to write off the interest that accumulates on your mortgage. Legal and professional fees used to help look after houses and Apartments can also be deducted from tax. Has this article piqued your interest in real estate investment? There is a lot more information out there to help you buy wisely. Read around the subject before you commit!